The number of typical handcrafted objects is extremely varied: from 'botafumeiros' -censers-, to silver and jet -the city's magical stone- jewellery, reproductions of the typical Santiago Cross, Jacobean scallope shells, candles, images and religious objects, traditional ceramics, Sargadelos decorative china, Celtic charms, lucky 'figas' and bagpipes, Galicia's musical instrument par excellence. 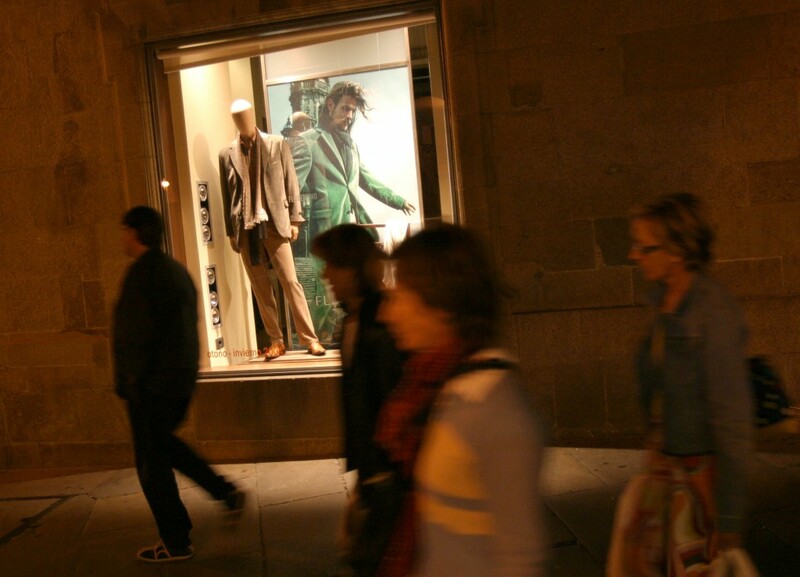 And fashion, because Galicia is one of Spanish dressmaking's creative centres. 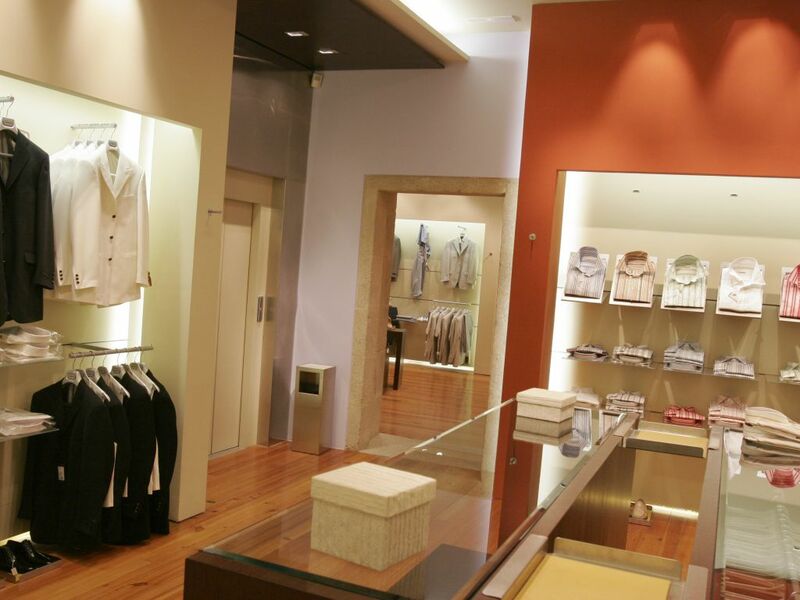 Brands such as Adolfo Domínguez, Zara, Roberto Verino, Florentino, Purificación García and Antonio Pernas have boutiques all over Santiago. But this textile tradition is not new: fine lacework and linen fabrics are still made in the same way as in the past. And for small purchases, in the old town -in Rúa Nova- there is an outdoor market that is open every day of the year from 10 am to 8.30 pm. 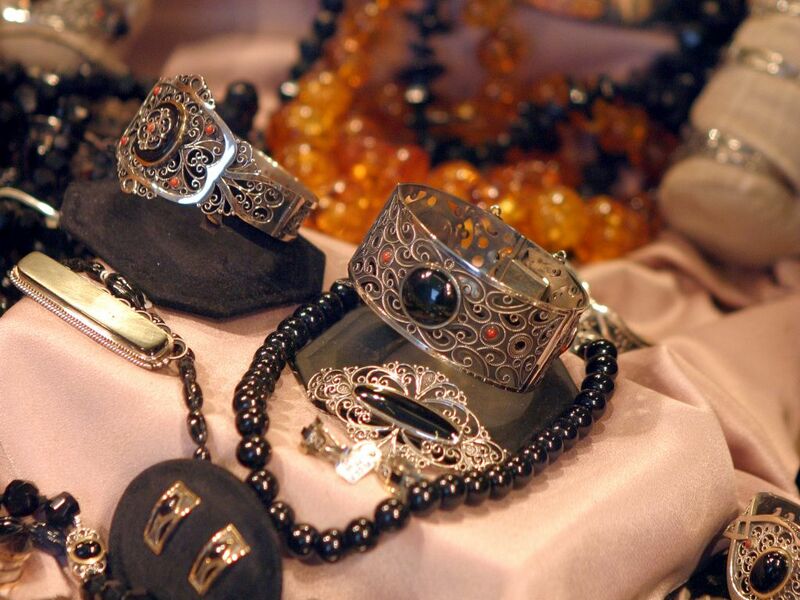 It is called the 'hippie' market and you will find a variety of gifts there: from costume jewellery to accessories to handcrafted leather goods. 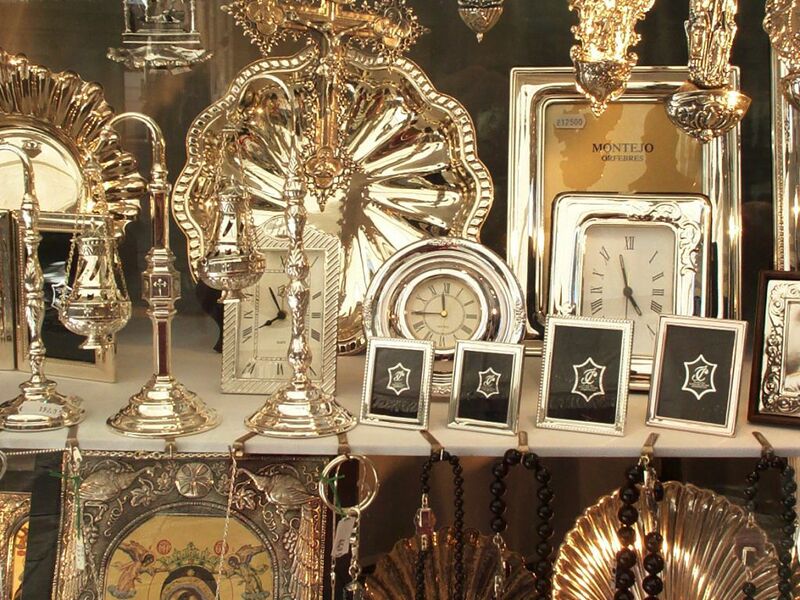 Thursdays and Saturdays, you can also visit the Antiques Market in Praza de Cervantes (Thursday) and Rúa do Franco (Saturday) from 9 am to 2 pm. 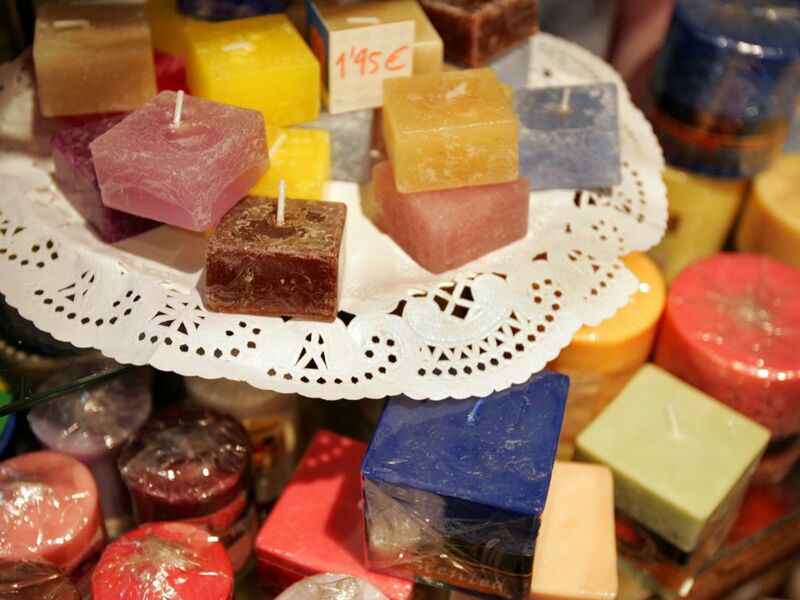 A walk around Santiago 's streets reveals small shops and workshops that embody the city's thousand-year-old custom of receiving traditional crafts from all over Europe . 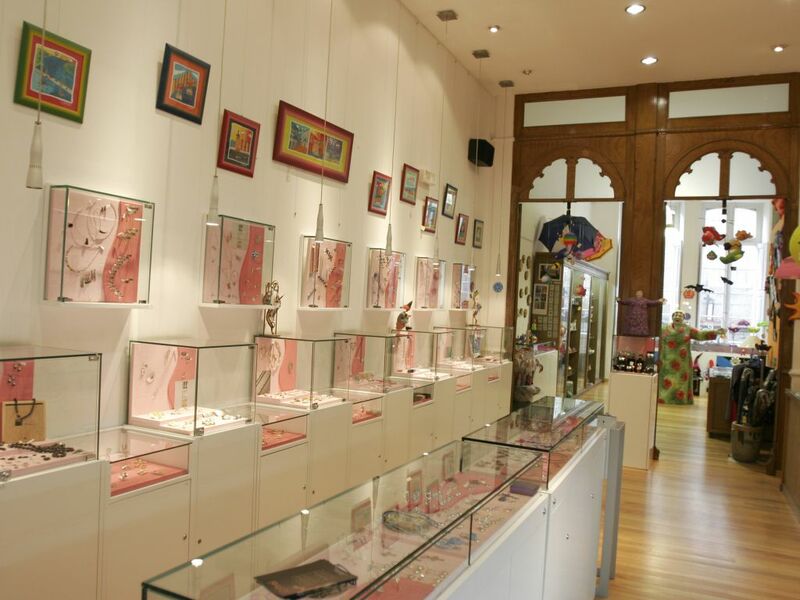 Patient creativity, sold under the “Artesanía de Compostela” brand, results in a variety of articles from hats to crockery, from candles, votive offerings and religious images to ornamental wrought iron, engravings, glass, gold and silver articles, enamel, ceramics or leather from more than 300 workshops. This intensive craftwork has left its mark on the city map, which is full of the names of different trades, some of which no longer exist. This is the case of the Concheiros and Pelamios neighbourhoods -where the sellers of shells and tanners, respectively, used to be located- or the As Praterías (silver work) and Acibechería (jet stone work) squares. 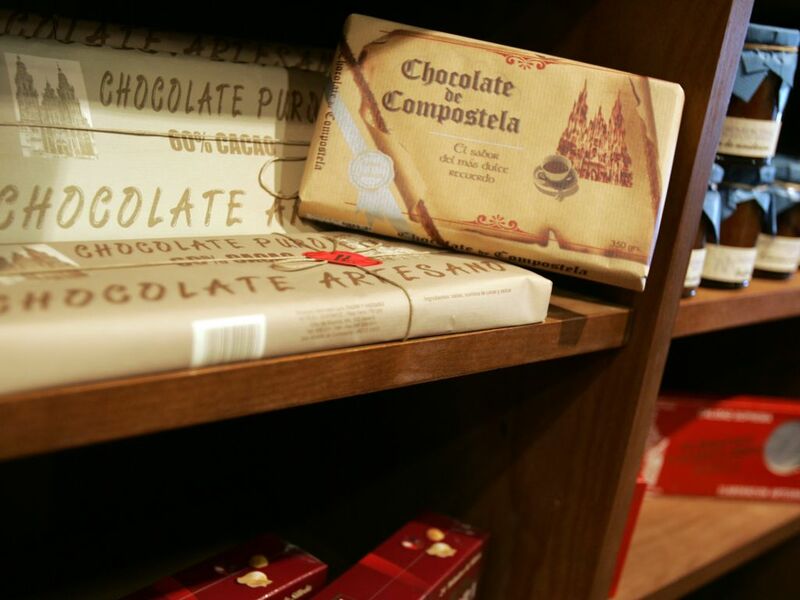 Moreover, a trade is behind the traditional nickname, picheleiros, that is given to Compostela residents. The term comes from “pichel” (a tin pitcher) and suggests that tin work, to make barrels, milk urns and household items, was long associated with the city, probably in the street that is called Caldeirería (boilermaking). Silver smiths lead Santiago 's list of craftsmen that work noble metals. Traditionally located in the square called praza das Praterías and in the old town, they work silver into classical shapes –such as figures related to regional and religious themes, shells, candelabras or platters- or innovative designs in the form of pendants, brooches, earrings and bracelets, which may be combined with enamel, porcelain and semi-precious stones. Artistic creation in jet stone (“azabache”) is another innate characteristic of Santiago de Compostela, as shown by the existence of a street and square called Acibechería. The strange thing is that this lignite, black and compact, practically does not exist in Galicia and is still brought exclusively from Asturias . 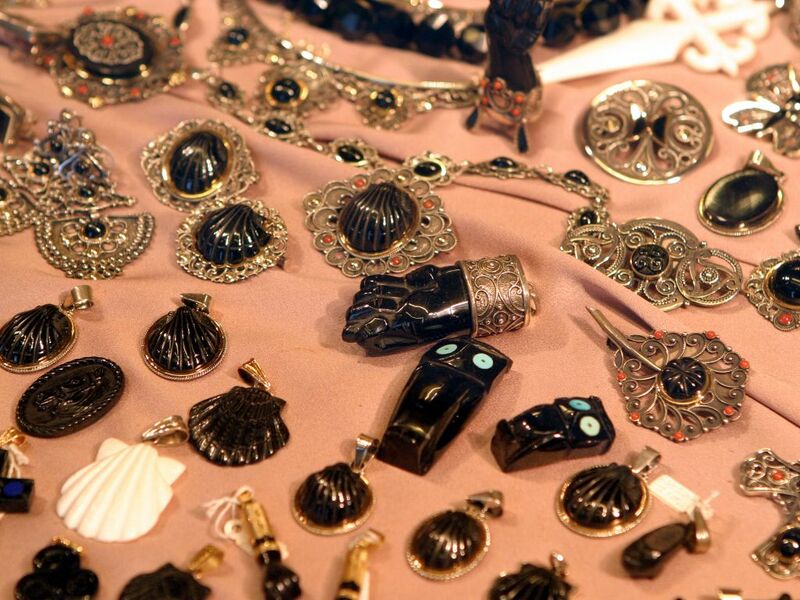 Jet stone production is dominated by amulets such as figas (hands with a closed fist) and pilgrim scallop shells. 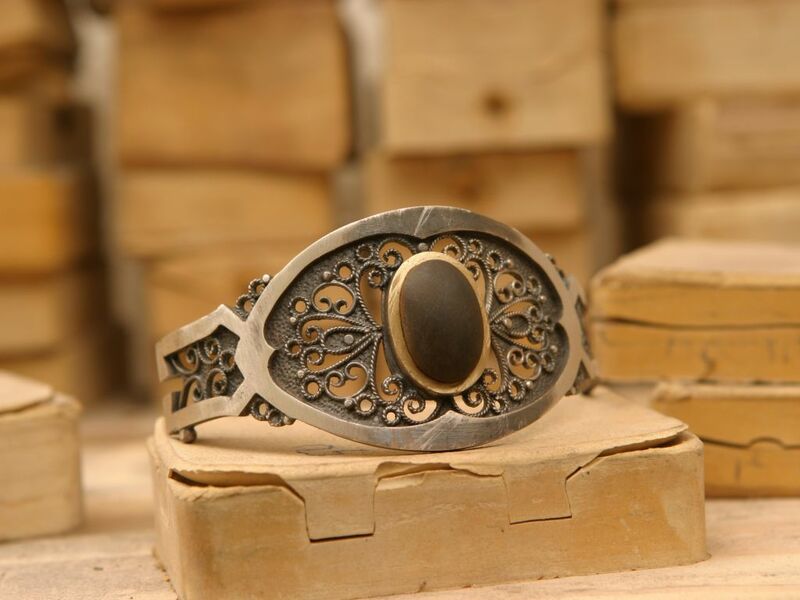 Other articles that are made, in combination with silver and sometimes with coral, are jewels, rosary beads or statues . 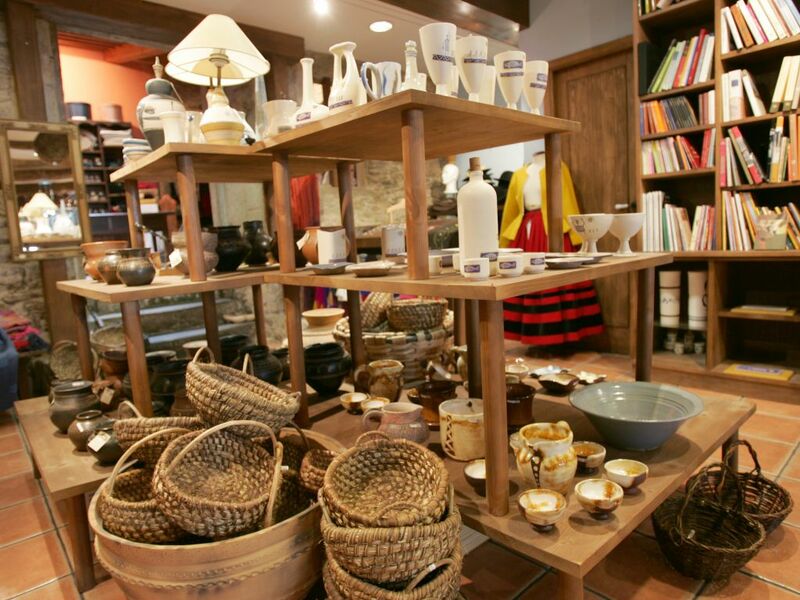 Typical products from Compostela coexist in shops with crafts from the four Galician provinces. 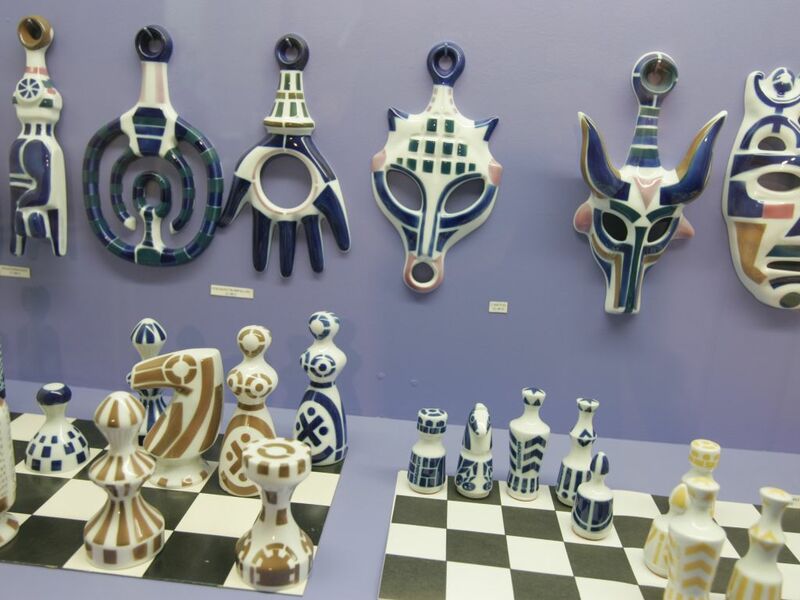 This is the case of the famous Sargadelos ceramics, with crockery and adornments recreating classical and popular motifs, and other types of pottery such as those from O Castro, Buño, Gundivós and Niñodaguia, as well as work using clay, china or porcelain in the form of jugs, tea and coffee sets, boxes, small sculptures, Galician mythological characters or tiles. Just as widespread in Galicia is glasswork, whose fragility and colours contrast with the solidity of granite, slate, quartz or marble statues. Carving gives rise to profane and religious figures, furniture, board games, typical musical instruments and reproductions of ancient and traditional instruments. The revival of the traditional process of weaving natural fabrics has produced tapestries, mats, typical Galician costumes and household items made of linen, silk, wool, cashmere or cotton, which is adorned with the work of embroiders. 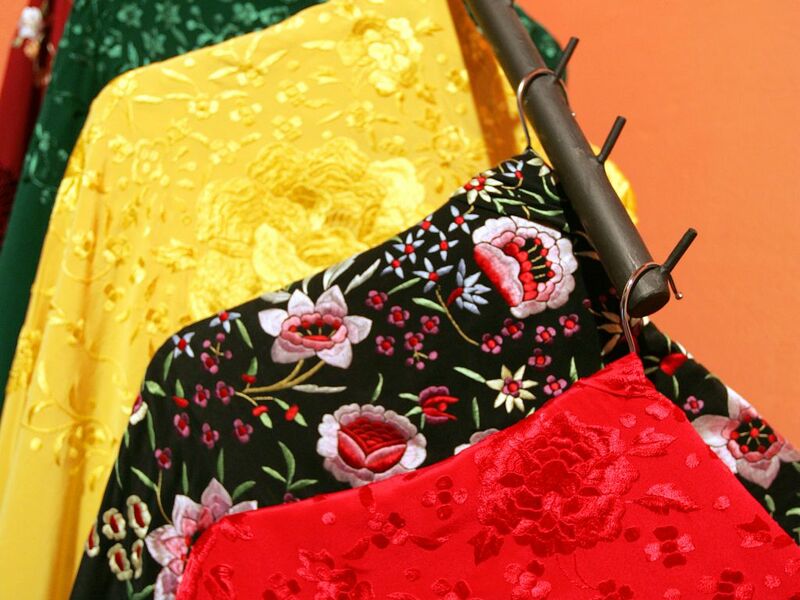 Special mention should be made of Camariñas lacework, an art that is kept alive by more than 3,000 palilleiras throughout the entire Costa da Morte region, who create extremely fine textile work. This range of beautiful objects also includes wrought ironwork, artisanal bookbinding, paperwork, papier-mâché figures and leather goods.